This report has been published by the Bellona Foundation to fuel the debate in Romania on how to meet its emission and energy challenge. The report shows Romania’s unique potential to become CO2 negative, by not only producing electricity in a CO2-neutral way but actually absorbing already emitted CO2 from the atmosphere. 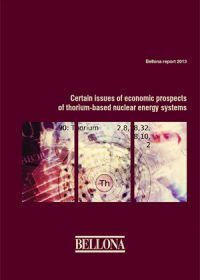 This publication was prepared by the Bellona Foundation to fuel the debate in Hungary on how to meet its emission and energy challenges. By studying three potential emission trajectories to 2050, it offers a long-term appraisal of the economic and environmental consequences of broad CCS application in the Hungarian power and heavy industry sectors. Publicly available official data from Hungarian and international sources have been combined with Bellona’s own plant-by-plant research and calculations to model the different scenarios for CCS deployment. Murmansk Region, a large administrative area on the Kola Peninsula in Russia’s European North, has a broad range of non-conventional renewable energy sources at its disposal – the sun and wind, small rivers, tides and ocean waves, etc. Each of these resources has its own distinct seasonal characteristics. For instance, the supply of solar energy and hydroenergy is at its peak during summer periods, while consumer demand is traditionally highest during the winter. Conversely, energy derived from the wind and ocean waves reaches its maximum availability in the winter, with the onset of seasonal cyclone activity. Finally, tidal energy is not contingent on a particular season, and its mean monthly values remain unchanged throughout the year or across multi-year spans. 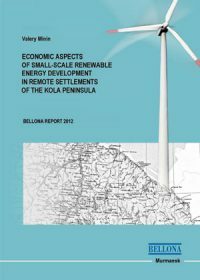 These peculiarities determine the specific areas and scope of practical application of renewable energy sources on the peninsula. There is an international realisation that the world must drastically decrease its greenhouse gas emissions in order to avoid catastrophic climate change. The European Union (EU) has adopted specific legislation designed to help meet its declared objective of reducing Member State CO2 emissions by 80-95 per cent between 1990 and 2050, with Member States having agreed to reduce emissions at least 20 per cent by 2020 in the 2008 EU Climate and Energy Package. One key mechanism put in place to achieve this target is the Emission Trading System, a cap-and-trade system under which the price of emitting CO2 will most likely increase as a binding cap on total allowed emissions is reduced over time. Poland is rapidly approaching a decision point at which it will have to take action to secure its future energy supply. Much of its power generation units will require replacement within one or two decades, and at that time critical choices will have to be made regarding the country’s use of coal and lignite resource, in the context of increasingly strict EU regulation of CO2 emissions. A similar situation faces the nation’s heavy industrial sector, in which many factories are heavy emitters of CO2 that may be economically threatened by climate regulations. In the face of the need for drastic emission reductions, renewables must eventually grow to provide an increasing share of energy, but it is probably unrealistic for Poland to break its dependence on fossil fuels before 2050. CCS technologies offer a solution to this dilemma by potentially cutting emissions from coal- and natural gas-fired power plants by 90-95 per cent. Investing in this technology can serve as an insurance policy for Poland, putting the country in a position to freely choose between coal, lignite, gas, or renewables in its near and medium term energy mix. CCS also provides strong synergies with industry, where the same technology can be utilised to manage increasingly costly CO2 emissions. Widespread CCS deployment in Poland is feasible, this Roadmap finds, but immediate actions must to be taken to demonstrate the technology, characterise potential storage sites, and provide a stable regulatory framework. With the EU currently offering generous funding for CCS demonstration projects from the NER300, moving forward with proposed projects such as those at Belchatow and Kedzierzyn-Kozle is time critical. This Roadmap examines the outcomes of widely deploying CCS under three different future energy mix trajectories. Specific figures are provided on costs, emissions and benefits. Under all three trajectories – and across a wide range of possible EU climate and energy policies – it is clear that the activities to commercialise and deploy CCS in Poland must not be abandoned. They are the vital insurance required to ensure a secure economic future. 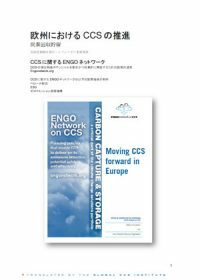 There is some discussion regarding the potential application of CCS in but most analysts do not go beyond a strict evaluation of an initial demonstration project. 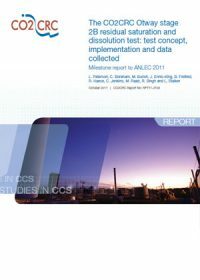 The goal of this report – executed by Bellona Foundation and co-funded by the Global CCS Institute, among other sponsors - is to cover that gap and offer a realistic long-term appraisal of the economic and environmental consequences of broad CCS application in Greece in the power and heavy industry sectors. The report identifies three possible scenarios for how Greece may address its emission mitigation challenge through 2050: No deployment of CCS, constrained deployment, or full deployment. The report finds that the full deployment scenario delivers not only the deepest emission cuts, but also the lowest electricity production costs. Further, combining full deployment of CCS with biomass co-firing with coal would allow the Greek power sector to become ‘carbon-negative’ by 2030, actually removing CO2 from the atmosphere by producing power. On a plant-by-plant basis, this report calculates which power plants and industry greenhouse gas emission sources are viable CCS candidates, while making specific proposals regarding CCS application for particular units and suitable storage sites. It also provides an overview of the current status of CCS potential in Greece, including relevant actors, the status of implementation of the CCS directive, and practical recommendations to decision-makers to assure timely deployment of CCS. The result of this comparative exercise demonstrates that wide and timely deployment of CCS in both industry and energy sectors delivers optimal economic and environmental outcomes. By 2050, full deployment of CCS - together with wide application of biomass co-firing - could lead to a ‘carbon negative’ electricity sector and a nearly carbon neutral industrial sector, paving the way for a sustainable Greek economy long into the future. In this paper, the introduction of Emission Performance Standards (EPS) as a means for po-tential emission reductions in the European power sector was assessed. EPS in the power sec-tor can already be found in California, USA, since 2007 as well as in the US states of Oregon, Washington and Montana, which introduced EPS schemes following the example of Califonia.